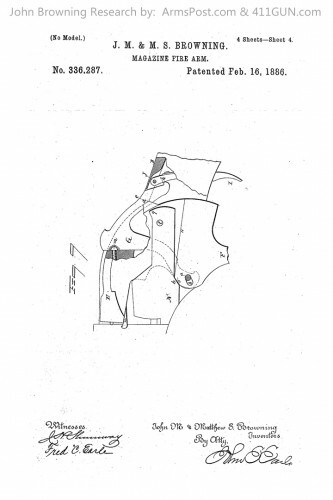 On June 15th, 1885 John Moses Browning applied for the patent on this design. 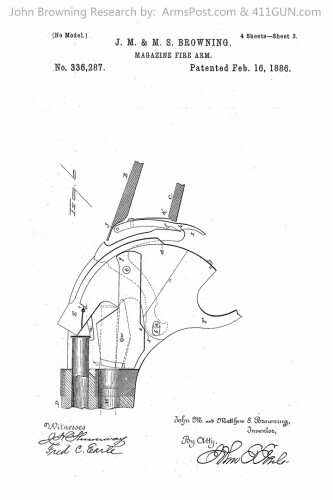 It was approved on February 16th, 1886 and granted US Patent 336287. 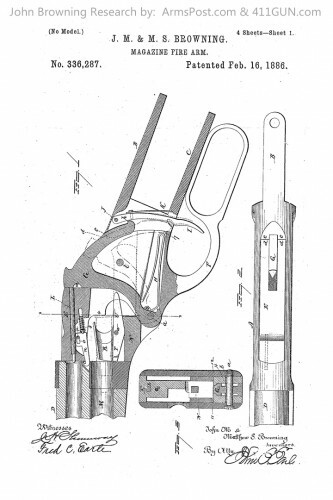 The design became the Winchester Model 1887 lever action repeating shotgun available in 12 gauge. The Model 1887 was the first fully functioning repeating shotgun and it’s design would be the foundation to the Winchester Model 1901, a 10 gauge. 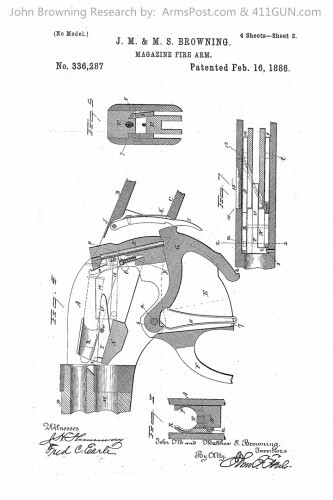 The historical importance of this design is the fact that it was the first successful repeating shotgun.